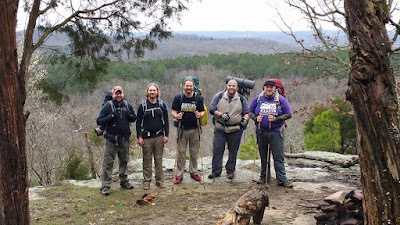 "I've been thinking about getting a backpack and doing some hammock camping trips. 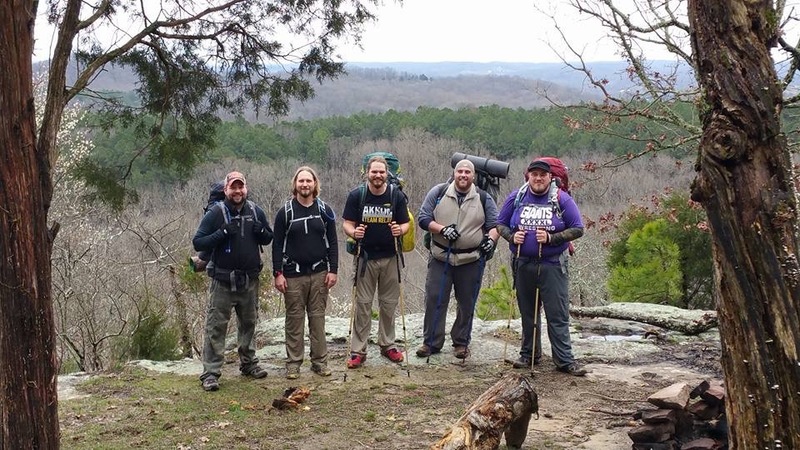 You know, hike out and find a place to camp, kind of an ultra low impact sort of thing." The idea resonated with me as we sat around the fire. Maybe it was the quiet night and the campfire. Or the sense of euphoria that accompanies completing a challenging race like Hocking Hills Indian Run, in which I had taken 2nd in my age group that morning, but whatever the reason, a whole new type of adventure (for me anyway) was set into motion, that September night. It's true. 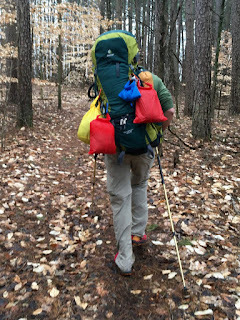 Putting on a fully loaded pack that weighs 40 or 50 pounds and walking around the house does not give you an accurate idea of what your pack actually weighs or how it fits. While a 50 pound pack might seem completely manageable, even light, within the confines of your living room, it can seem unbearable after 6 hours on the trail, especially if your pack doesn't fit right. 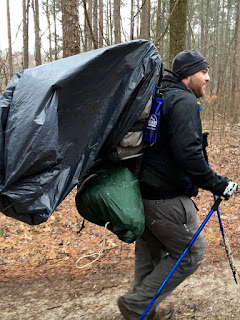 My pack fit right and weighed in at 24 lbs and I was tired of carrying it by the end of each day, I can't imagine what the guy with a 50(plus) lb pack that didn't fit right was experiencing. Online, you'll find a ton of packing lists. Everyone has their own idea of what gear is necessary and honestly, packing lists are a highly personal thing. 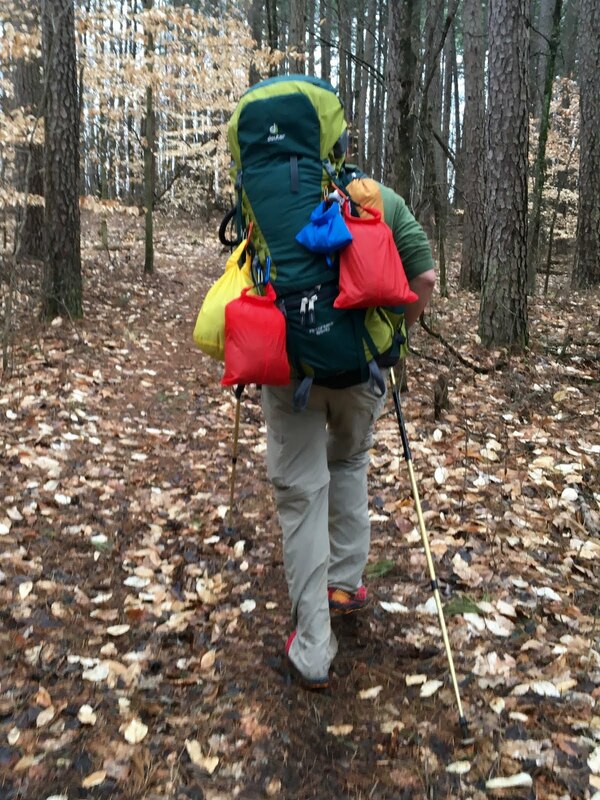 But there are really only a few things that you actually need in your pack: shelter, sleeping bag, and water. If you view everything else as a luxury it becomes much easier to to pair down what you plan to carry. Two luxury items that I definitely splurged on were extra socks and instant coffee. I knew there was a strong possibility that I would find myself wet and cold at some point. Dry socks and a hot cup of coffee seemed like they could do wonders for moral. I was right. They were little things that made a huge difference to me and they were worth every ounce of extra weight. Ask yourself, "If things turn bad, what little thing might boost my spirits?" That item is probably worth the extra weight. Whether its a pack, a tent, a cookstove, or a sleeping bag, test it out before you take it on a trip. Make sure you know how to use it and that it functions the way you expect it to. Getting a day into a three day trip and realizing you're pack doesn't fit right is the pits. Finding yourself setting up a tent that you don't know in the dark is frustrating. Hanging a hammock for the first time, only to realize your tarp doesn't cover it, can be a nightmare. Give it a shot before you are depending on it. Sure, they're an authority on backpacking. But they're also an organization made up of humans. Sometimes they make mistakes. Sometimes they give out bad advice. Sometimes they tell you that a trail is 24.6 miles when it's really 33.4. 8.8 miles is almost a whole extra day of hiking. A WHOLE. EXTRA. DAY!!! So take everything you read with a grain of salt. When you're tired and you realize that you have a lot further to go than you thought, sometimes you just need a good laugh. Being able to look at your situation and make light of it is a great way to process what you're experiencing without letting it drag you down. 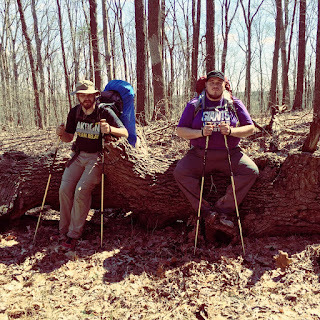 In the end, backpacking like running, is all about putting one foot in front of the other, and nothing makes that harder than allowing yourself to sink down into a pit of despair. An itinerary that requires you to be on the move for 10 hours a day, is a bad plan. Give yourself some the freedom to explore a rock formation, or rest at a fallen tree. You never know what might put you behind schedule so give yourself some wiggle room. 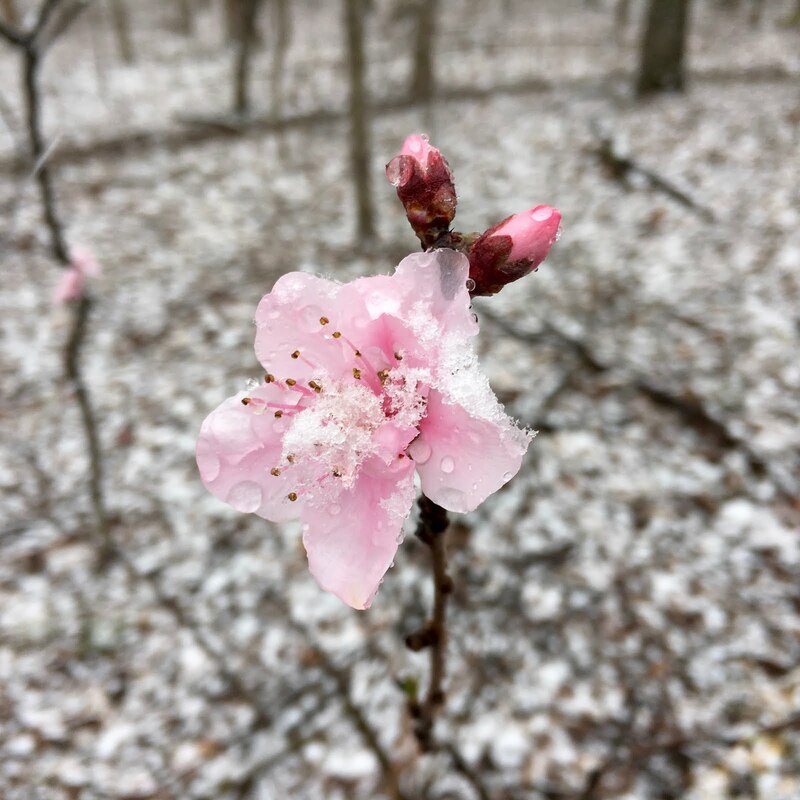 The second day, we woke up to the sound of rain, ice, and snow falling on our tarps. Before any of us had even opened our eyes, we knew that it was going to be a day of trekking through miserable conditions. But what we found in those conditions was an abundance of beauty that we would have not seen otherwise. 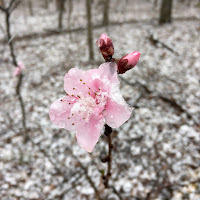 There were ice covered spider webs, starkly contrasting hues of the snow and the forest in early spring, and delicate cherry blossoms kissed by ice and snow. It was in some ways, the most beautiful of our days on the trail. Seriously, there is a chance that you will see something that you want to remember, or that you'll never make it to that same place again. There are so many unique and wonderful places to explore, take a camera (or a phone with a camera) and capture the beauty. If nothing else, maybe your pictures will inspire someone else to get outside and explore for themselves. What about you? What are some invaluable lessons you've learned out on the trail?